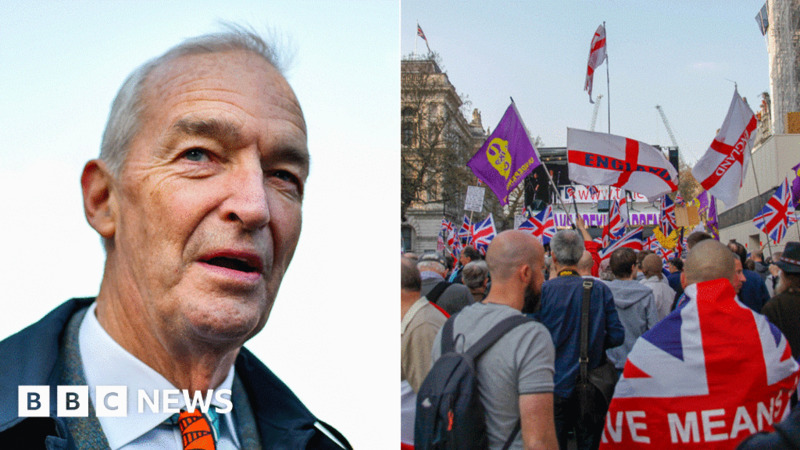 Channel 4 News presenter Jon Snow is being investigated by Ofcom after he said he had “never seen so many white people in one place” at a Brexit rally. The broadcasting watchdog received 2,644 complaints about his comments on 29 March. Mr Snow was signing off from the evening bulletin when he made the unscripted remark. Ofcom will also investigate Brexit Party leader Nigel Farage for his response to Mr Snow. Mr Snow’s remarks came as the news bulletin showed protesters in Westminster on the day the UK was due to leave the EU. Channel 4 said it was a “spontaneous comment” noting that ethnic minorities were under-represented for a London demonstration of this size, and said the channel regretted any offence caused. In an exchange on LBC radio two days after the protest, Mr Farage was asked to condemn people who attacked journalists and police. Asked to explain, Mr Farage said: “Because of his terrible condescending bias, but that’s a separate issue”. He said later in the same programme that he only meant a verbal attack, not a physical one but the remarks prompted five complaints to Ofcom.